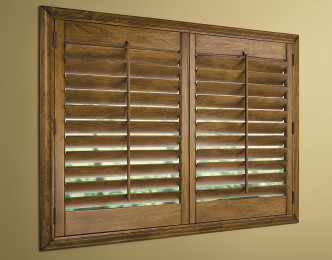 Shutters were originally designed for ventilation, protection, and light control. They are better at absorbing dust and as a result are more hygienic than curtains/blinds. Shutters are a cost-effective way to update your windows. 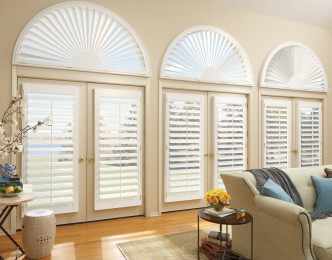 Interior and exterior shutters improve the value of your home. 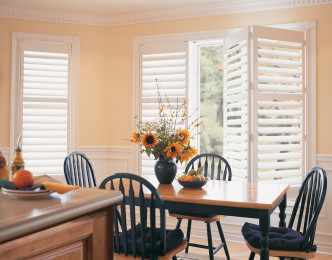 Shutters are a chic alternative to blinds and curtains and come in a variety of styles. This allows you to tailor your shutter choices to meet your unique needs. The value-priced NewStyle® hybrid shutters blend the beauty of real wood and advanced modern-day materials to create a stunning and durable window covering for any room. Our Palm Beach™ polysatin shutters are constructed with UV resistant vinyl, so they’re guaranteed never to warp, crack, fade, chip, peel or discolor, regardless of extreme heat or moisture.